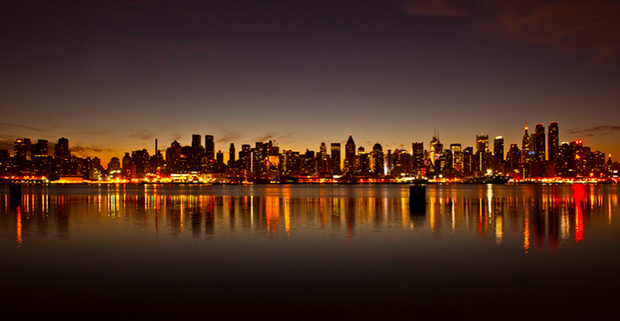 While NYC is known for its dazzling skyline, keeping it lit is not exactly the most environmentally-friendly choice. In an effort to curb the city's greenhouse emissions, lawmakers have proposed a bill that would force buildings to reduce light use when empty. Lawmakers also point out that flipping the switch would also benefit migrating birds, which can be confused by bright lights at night. Detractors argue however that not only would a dark skyline hurt tourism, as visitors come expecting the magnificent sight as part of the NYC experience, but could also lead to increased crime on unlit streets. Some also question the effectiveness of such a bill, since many buildings are occupied 24/7 by night staff and security. Lawmakers pushing the bill are hoping to find a compromise, suggesting that certain "significant" buildings could be exempt. If the bill passes, violators will be fined $1,000.